I’m in process of planning a trip to Las Vegas, where there’s really only one SPG property near the Strip (The Westin), so I was super excited when Starwood Hotels & Resorts recently announced their partnership with Caesars Entertainment, allowing SPG points members and Total Rewards points members to earn points at stays at the other’s properties, as well as use points to redeem award stays at the other’s properties…. starting today! 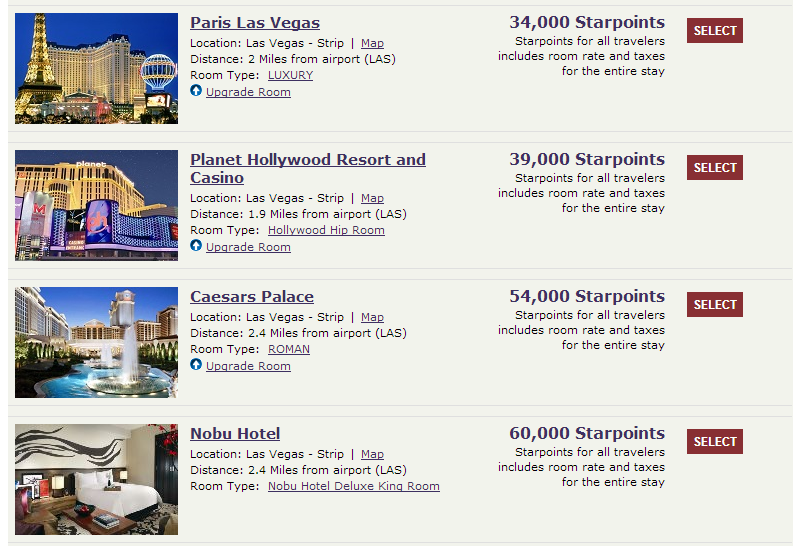 While Starwood hotels exist all over the world, Caesars only has properties in the US, all of which are Casinos. 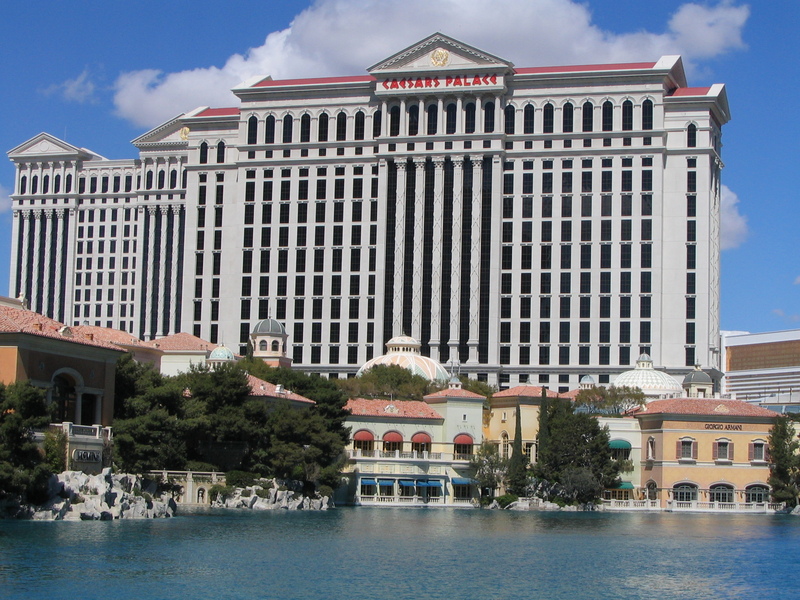 Expect to find numerous Caesars hotels in places like Las Vegas, Atlantic City, Lake Tahoe, Reno, and New Orleans. There are a few other locations in the US & Internationally that may not participate in Total Rewards, and thus, not with this partnership. 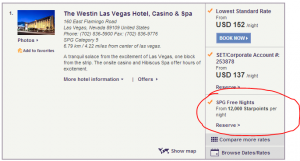 In order to use SPG points on Caesars’ properties you need to use the following site: totalrewards.spg.com and sign in to your SPG account. (If you have Total Rewards points and want to book an SPG property you need to use this site: totalrewards.com/spg). The Caesars properties actually give me quite an array of options from as low as 5,166 points per night through 20,000 points per night. 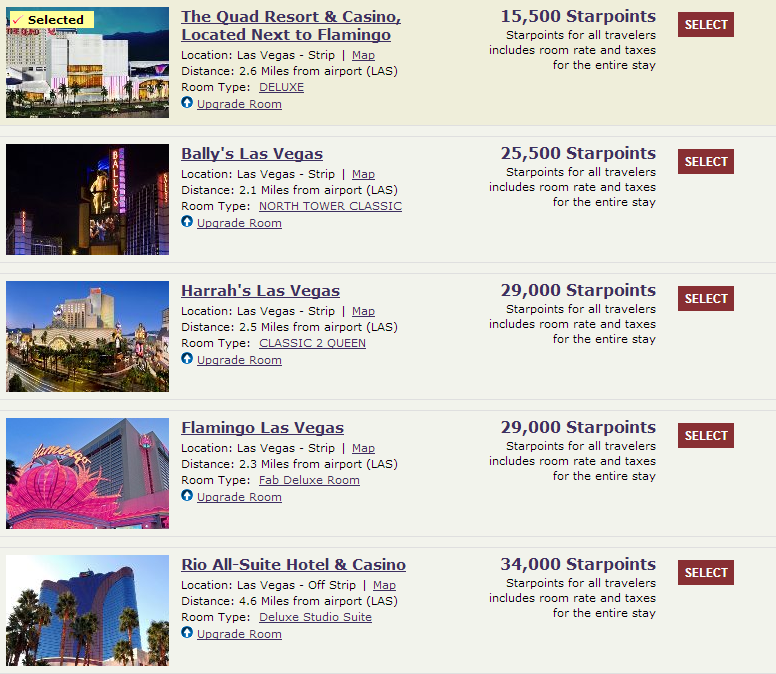 4 of the hotels: The Quad Resort & Casino, Bally’s Las Vegas, Harrah’s Las Vegas, and Flaminfo Las Vegas all come in at under 10,000 points per night. (see screenshots) The prices in Starpoints are quoted for the full stay, so some simple math (dividing by 3 nights), gives me my per night Starpoint cost. Personally, I’m considering either the Paris Las Vegas (11,333 points per night) or Planet Hollywood Resort and Casino (13,000 points per night). 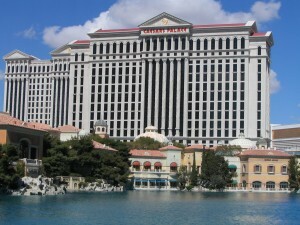 The Caesars Palace looks awesome, but it’s pricey at 18,000 points per night. My one problem with this joint venture, thus far, is the inability to book a package deal with any of the Caesars properties that are offered on the Total Rewards site. Packages typically include tickets to shows at those hotels (ex: Celine Dion, Britney Spears, etc.). This is something I am interested in booking, but it’s not something offered at the moment on their website. 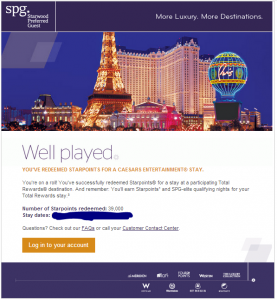 UPDATE: Here is one of 2 confirmation emails, this one from SPG letting me know that my Starpoints were used on a Caesars property.